Coach Paul has spent a lifetime in pursuit of nudging others towards their goals and dreams. Through the written word and his coaching practice, his mission is to not only be that non-judgmental object of constancy but also help make meaning of the meaninglessness that often limits sustainable structure and inhibits the purposeful growth of young adults, artisans, and solopreneurs. Paul holds a Bachelor of Science in Business and Marketing from the University of Southern California and started his career working in start-ups/media. 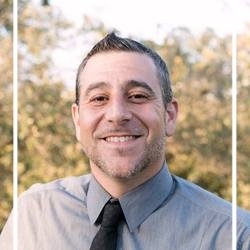 Well over a decade ago, he transitioned away from the business world to attain his Masters of Psychology in Marriage & Family Therapy from Phillips Graduate University in Los Angeles. There he continued to write about the human condition and worked as an existentially-focused psychotherapist, before finding his sweet spot between the two callings in Coaching, specifically Young Adults & Solopreneur Creative Career Launch Coaching. A certified Professional Certified Coach [PCC] with the International Coach Federation [ICF], he completed a rigorous coaching certification program with Erickson College International in Vancouver, for which he also assists in the training of coaches online. He's facilitated career workshops for multitudes of people looking to launch their careers and currently facilitates a creative goal action workshops and coaches 1-on-1 with anyone looking to launch a creative project or merely into the purposeful life of their own choosing. He is a published e-book author and has performed his unique brand of performance poetry with artists who range from Grammy winners too artisans looking to become one someday. He's a host of an ICF-Los Angeles Charter Chapter - Coaching Cafe Conversations, a group which brings together coaches and anyone interested in coaching for lively discussions about personal and professional growth. With over 15-years of experience in personal development, his goal is to assist his clients in finding their 'why' by aligning their goals with their values. At which point, with their clarity of purpose, he helps his clients find the answers to the 'hows' that reside within them by creating an experience to help them visualize a future state of project completion or personal growth. Through active listening and his uncanny ability to join with his clients exactly where they are, whether physically, emotionally or spiritually, he often tells his clients that his goal to learn the way in which they perceive the world actual. At this point, his clients are no longer having a conversation with their coach, its one with their better-future self. Only then, with creative and timely powerful questions which allows his clients to delve deeper, he can hold up the mirror to their aspirations. In doing so, he believes that flow state of artistic expression and life purpose found inside all of us can be actualized and true creativity and life or career progress can be attained. To learn more about how Coach Paul serves his clients, click on the link and enjoy a recent podcast interview with Empire Radio Now's Professional Round Table. Call or text at 626-497-4806, or send a request from the contact page to request a free discovery consultation.